When I came to Stevens in July 2011, the University was confronted with a number of pressing and urgent challenges—from financial instability to an alumni body that was largely disengaged, to a campus community without a clear sense of destination. Yet, despite the challenges, I saw in Stevens what many of you have seen—a university with tremendous, unrealized potential. With this plan, we built on the profound and significant legacy of the founders and their focus on technological innovation and entrepreneurship, which had shaped the growth and development of Stevens’ education and research programs over many decades. We brought focus and discipline to our long-standing, core emphasis on STEM fields, areas that became increasingly recognized by society as integral to a better future both for our country and for graduates. We began to better exploit our “unfair advantage” of being located near New York City, the epicenter of business, culture, and media. And, we instituted a careful and methodical approach to measuring our progress, not only against our own past, but against aspirational peer institutions. Now, five years later, our progress has been nothing short of remarkable. Measured by external, independent rankings, Stevens is the third-fastest rising university in the nation. I am both proud and amazed at what our community has accomplished by focusing on the five strategic priorities we set for ourselves—Excellence in All We Do; Through Collaboration, Impact; Student-Centricity; Technology at our Core; and Strengthened Reputation, Increased Prestige. These priorities have guided our ascent as we have made substantial and significant progress across nearly all areas of the University—from recruiting the best and brightest students from around the world, to hiring truly excellent faculty from prestigious institutions, to investment in the expansion and modernization of our campus infrastructure, to alumni engagement, to financial stability, and much more. 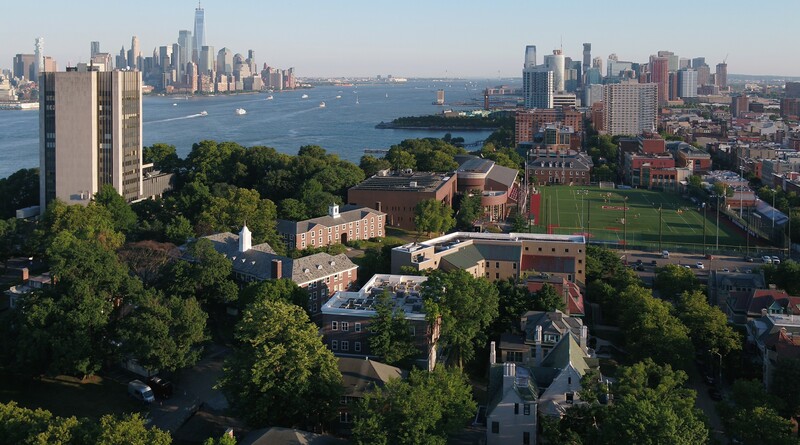 The University’s incredible ascent trajectory, guided by our ambitious Strategic Plan, has put Stevens on a solid path to achieve our aspirations. Yet, despite all the progress we have made in the last five years, we still have far to go. I still see so much unrealized potential in this University—the potential to ascend in rankings, in prestige, in academic reputation, in student outcomes, in the size and impact of our research portfolio, and in the pride felt by our alumni and extended community about Stevens. This midpoint update of our Strategic Plan puts us in a very strong position to realize Stevens’ full potential. It enables us to capitalize on our accomplishments, to confront new challenges, and to consider the University’s future in the context of a rapidly changing world. I am grateful to Provost Christophe Pierre, Chair of the Strategic Plan Midpoint Review Steering Committee, for his leadership in this important endeavor and to the entire Steering Committee for the wisdom, insights, and good will with which they approached this task. I also want to acknowledge the participation and engagement of the Faculty Senate and the broader Stevens community in providing substantive input throughout the revision process. I am confident that our updated Strategic Plan will unleash Stevens’ full potential as a forward-looking and far-reaching institution with global impact. I hope you share my pride in all that Stevens has accomplished, and, as you review the Strategic Plan 2017-2022, I hope you will also share my unwavering determination to continue on our extraordinary upward trajectory.